little pieces in the bag and I did not see any whole cones. 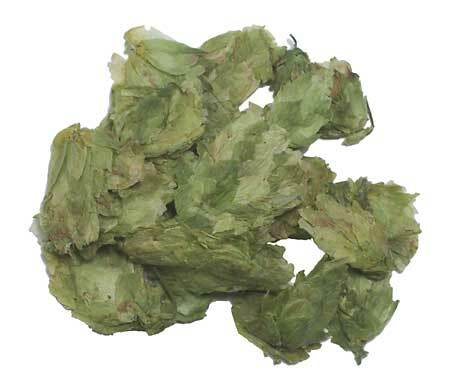 from what I have seen in the past when ordering whole hops. I recevied a 6oz pack of this hop with my last order. This was my first try with whole hops and I was unsure about the results. I used 3oz in my BIPA and the results were excellent. No change in flavor and no real problem with wort absorbtion. Make sure you scale up 10% when working off a standard recipe. Used equal amounts with cascade for bittering and aroma. Very clean flavor and nice bittering for American Pale Ale. First time using whole hops. Very pleased with outcome!